Measuring up to 45.6 inches in length and armed with the teeth and attitude of an angry watersnake, the Two-Toed Amphiuma (Amphiuma means) is the largest of North America’s amphibians. Although quite a handful, it is also a fascinating creature, and with proper care may live past the 30 year mark. Due to a lifelong interest in large, aquatic salamanders, I tend to ramble on when writing about them. Therefore, I’ve covered the Two Toed Amphiuma’s natural history in a separate article (please see this article). Today we’ll take a look at its captive care. The Amphiuma’s rough-and-tumble disposition and innate hardiness (one at the London Zoo topped 30 years of age) should not be taken as an excuse to ignore water quality. Effective filtration and frequent water changes are critical to their health. 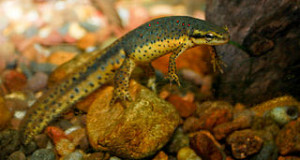 Please see my article on Mudpuppy Care, linked below, for further details on managing water quality in aquariums housing large aquatic salamanders. Move Amphiumas by coaxing into net…they are slippery and they can administer a very painful bite, so do not free-handle. Their skin damages easily in nylon nets, so transfers should be made quickly and carefully, and only when necessary. 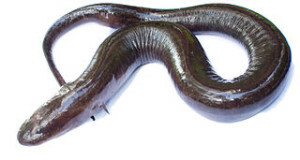 An adult Amphiuma will require an aquarium of at least 55 gallons capacity. The aquarium’s lid should be well-secured, as they will attempt to escape at night. For newly arrived individuals, it’s prudent to line the lid with foam or enclose in a pillow case so they do not damage their snouts by rubbing on screening. Amphiumas favor swamps and other heavily-vegetated, mud-bottomed aquatic habitats. Keep plenty of cover such as plastic plants in aquarium, and provide a cave or PVC pipe where the Amphiuma can get completely out of sight. In common with other amphibians, Amphiumas have porous skin that allows for the absorption of harmful chemicals. Careful attention to water quality is essential. An aquarium pH test kit should always be on hand. Amphiumas fare well at a pH of 6.5 to 7.0. Chlorine and chloramine must be removed from water used for any amphibian. 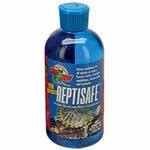 Liquid chlorine/chloramine removers are highly effective and work instantly. Copper may be present in water carried by old pipes; a test kit should be used if you suspect its presence. Under-gravel, corner, hanging and submersible filters can all be used in Amphiuma aquariums. Even with good filtration, regular partial water changes are essential in keeping ammonia levels in check. Be sure that the entry/exit openings for filter tubes are well-secured, lest they provide an escape route. I find it easier to use Ovation submersible filters (see above) for these and other powerful amphibian escape artists. Dim lighting by day followed by brighter lights at night may encourage daytime activity, but do this only if animal is feeding and otherwise adjusted to captivity. Night-viewing bulbs will help you to observe Amphiumas after dark. All those that I’ve kept at home or in zoos have fed readily by day once adjusted to captivity. Amphiumas fare best at water temperatures of 70-75 F, but tolerate a wider range. I have kept Amphiumas on gravel and bare-bottomed aquariums, but a soft sand or clay-based substrate is preferable, especially for individuals that try to burrow. Avoid any material that will raise pH. Minnows, shiners (and other whole freshwater fishes) and earthworms should form the bulk of the diet. Goldfish should be used sparingly, if at all, as they have been implicated in health problems (other species). 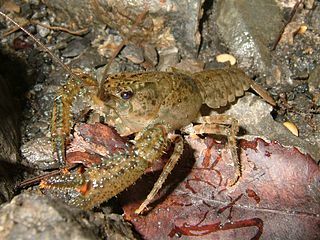 Small crayfishes are a great favorite (I remove the claws for safety’s sake). 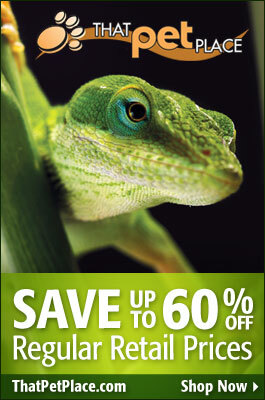 Crickets and other insects, shrimp, and frozen foods formulated for large aquarium fish are also readily accepted. After a time in captivity, most individuals will accept turtle pellets and freeze-dried shrimp. Next: Tarantulas: Are They The Right Pet for You?